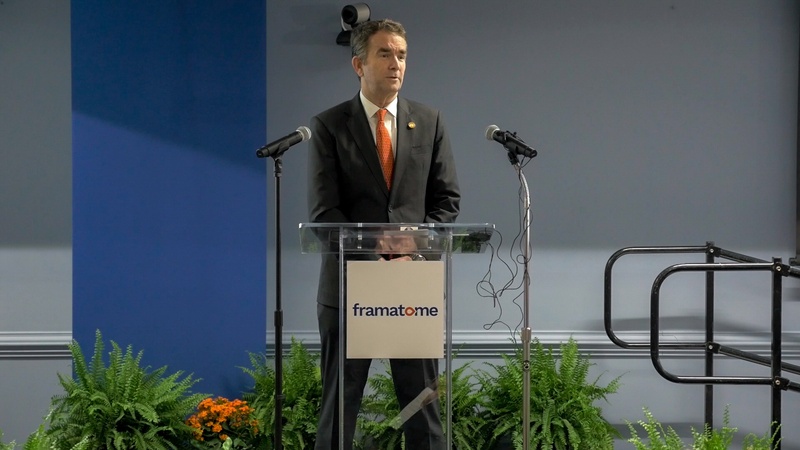 Governor Ralph Northam today announced that Framatome, a designer and supplier of nuclear steam supply system and nuclear equipment, services, and fuel for high levels of safety and performance, will relocate its North American corporate headquarters from Charlotte, North Carolina, to the City of Lynchburg. In January 2018, AREVA NP was officially rebranded as Framatome, and is known as Framatome Inc. in North America. The company has 1,300 employees in Lynchburg, 2,300 employees in North America, and 14,000 employees globally. The nonprofit arts and culture industry generates more than $10.8 million in annual economic activity in the City of Lynchburg—supporting 251 full-time equivalent jobs and generating $962,000 in local and state government revenues, according to the Arts & Economic Prosperity 5 national economic impact study. 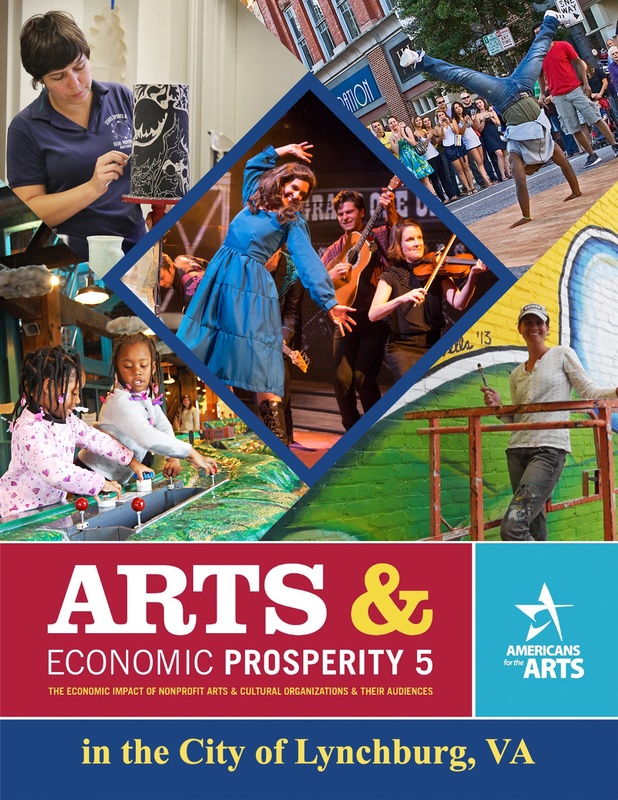 The most comprehensive economic impact study of the nonprofit arts and culture industry ever conducted in the United States, Arts & Economic Prosperity 5 was conducted by Americans for the Arts, the nation’s leading nonprofit organization for advancing the arts and arts education. Convergys Corporation, a global leader in customer management, will open a new location in Lynchburg, Virginia later this year. The new site will be located at 2840 Linkhorne Drive with the potential to add more than 600 new jobs to the community over the next 36 months. It is the company’s first location in Virginia. The company is currently beginning work to buildout the facility and will be hiring in summer 2017 for customer service representatives. RICHMOND (October 27, 2016) – Governor Terry McAuliffe today announced the award of a $72,000 grant from the Virginia Tourism Growth Fund (VTGF) to assist with the redevelopment of the Lynchburg Historic District Locust Thicket. With the assistance of this grant, the Locust Thicket property will be converted into a Historical Tourism Precinct featuring arts, dining and special events, educational activities, as well as retail and residential spaces. The VTGF grant program, managed by the Virginia Tourism Corporation, was established to grow tourism development projects across the state. 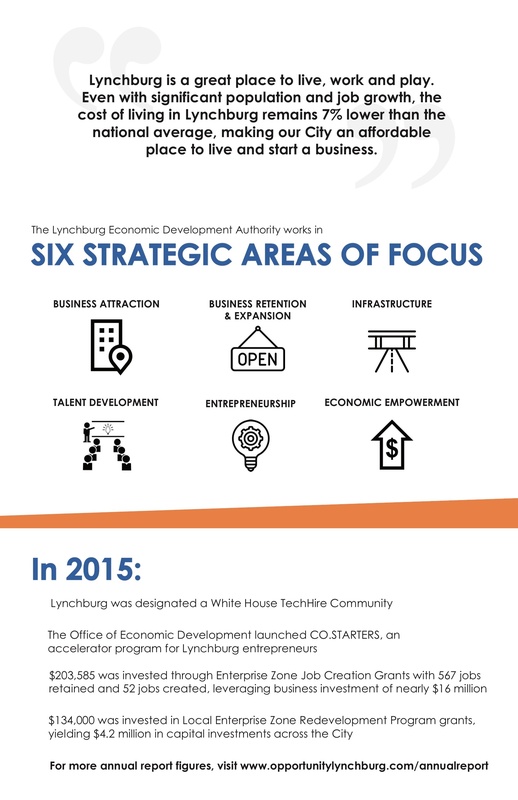 Last year was a positive year for the City of Lynchburg's economy. 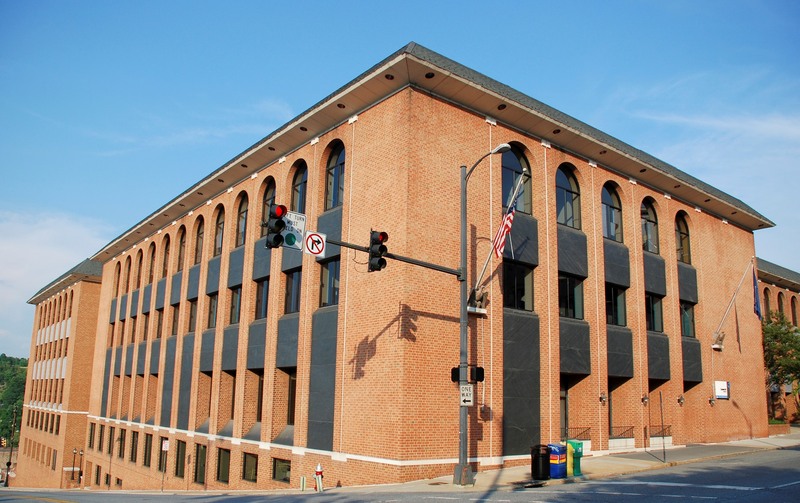 The City's economic investments resulted in new opportunities for entrepreneurs and big businesses, a renewed Enterprise Zone, and several other notable accomplishments in Lynchburg, Virginia. 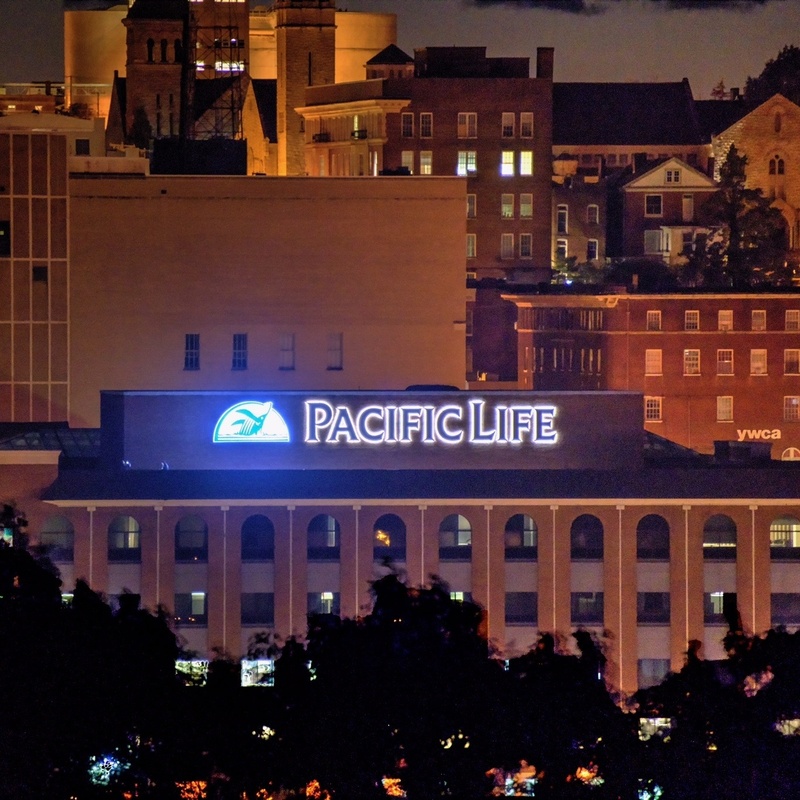 Governor McAuliffe today announced that Pacific Life Insurance Company will invest nearly $4 million to open a business center in the City of Lynchburg, expanding the company’s suite of innovative products and service capabilities. With this investment, the company completed an acquisition of the term life new business platform from Genworth Financial. The project will create 300 new jobs. On March 10, the Lynchburg City Schools Education Foundation will host the the 10th Annual Breakfast with the Superintendent to learn more about Lynchburg City Schools and the completion of the new Heritage High School. The Lynchburg Office of Economic Development (LOED) and the Lynchburg Economic Development Authority (LEDA) were recently awarded a grant through Governor McAuliffe’s Virginia Community Business Launch Grant program. The program is managed by the Virginia Department of Housing and Community Development and designed to support Lynchburg's growing community of entrepreneurs. The Virginia Department of Housing and Community Development, the state agency responsible for the Enterprise Zone program, have scheduled a series of How-to-Qualify workshops around the state.